In my many years as a music educator, I’ve come to realize that musical skills can be taught to everyone. But how do we do that as music teachers? Early on I began my journey to discover the answer. I’ve always had a curious mind about how music works. . . How it functions . . . how it is “made”. I was that child that took things apart to find out how they worked. . . . I would be excited when I found the answer but wasn’t always so successful in getting them put back together again. . . Nevertheless, I have often held the thought that music similarly is a mystery waiting to be “decoded”. I vividly remember in my childhood of sitting by our radio and hearing Patsy Cline sing “CRAZY” and was entranced by not only her voice but by, of all things, the chord progression. Why did that song work the way it did? What seemed to be unique to that song. I would run over to the piano to “figure it out” without the advantage of sheet music. I “decoded” that song and discovered the progression that the composer, Willie Nelson conceived to accompany that melody. I remember taking that progression and composing my own original melody over the top of it and realized that the process of composing or arranging was something I wanted to do for the rest of my life. As a result of many years of composing, arranging, record producing and teaching I’ve developed skills that allow me to tailor an arrangement so it’s just perfect for the performer it’s intended for. In arranging solo instrumentals for ukulele I continuously take into account the needs of the performers they are intended for . . . YOU!!! . . . . . I’ve spent countless hours pouring over ukulele instrumental collections in my attempt to find suitable pieces for my students, only to discover that they all had things that just didn’t work. Inappropriate keys . . . . excessive barring . . . difficult to awkward fingerings . . . too many notes using complex rhythmic values . . . I take into account that many are done as archiving existing recorded performances by celebrated ukulele performers, and that’s cool, but I submit that the majority of publications of ukulele instrumentals are intended for only a few select players and there is generally no effort to make them accessible to the “Everyman”. In my many years as a music educator I also found limitations with curriculum materials offered for classroom music teaching so I ended up composing and arranging my own materials. I found ways to make them more accessible to the students while retaining compelling and challenging elements inherent in the pieces. I have always been on the search to “decode” music and find more direct ways of presenting it and helping students grow in their skills. So now I come to the specific topic of Ukulele instrumentals. It’s my mission to open up the grand possibilities of instrumental playing to EVERYONE . 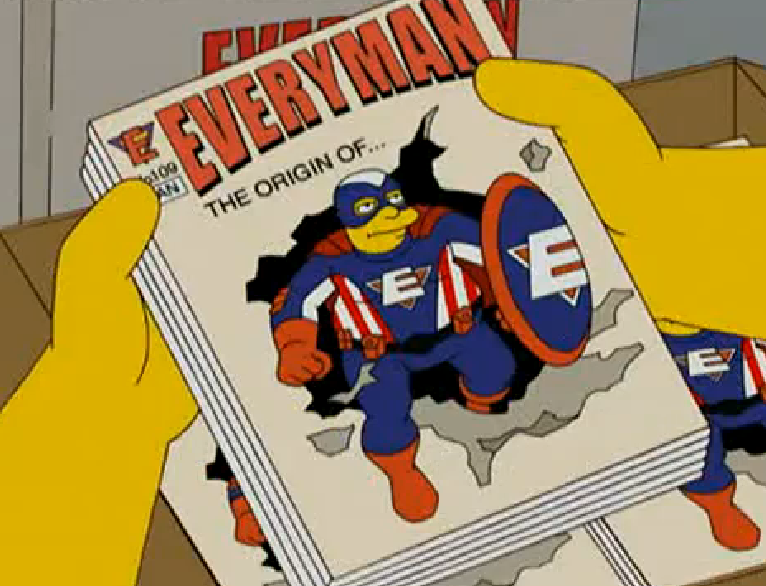 . . to the “Everyman” and “Everywoman” . . .
Granted, going from simple strummed accompaniment ukulele to full blown instrumental ukulele can be a big step for anyone but it’s my goal to make that process easier and fun. One hurdle one needs to get over is the subject of TABLATURE. What, exactly is TABLATURE? That’s the first question to answer. Let’s get this straight TABLATURE or TABS is NOT a simple lead sheet with lyrics and chords indicated. That’s not even close to being tablature. Nevertheless it’s common to see that on the internet that sites or presenting “TABS” and they are not “TABS” at all. . . They are simply the lyrics with chords placed above the words where the chords occur in the song. TABLATURE is a real, authentic form of notation. It goes back to the middle ages when it was first used in notating composed music for such stringed instruments as Lutes, viols, proto guitars etc . . . It bypasses the standard Treble clef notation typically used for music. No longer do we have 5 lines and 4 spaces but rather FOUR LINES which indicated the FOUR STRINGS of the ukulele. The top line represents the 1st string of the ukulele which would be the one nearest your knee. The 4th line represents the 4th string which is the one nearest your chin. Numbers on each string represent where you place your finger to get that note. A zero on a string means the string is played but it’s open. In my earlier notated instrumentals I show only the TABLATURE staff but now I’m including the corresponding Treble Clef notation as well. Having the standard treble clef notation can be helpful in regards to reading time values since ukulele tablature doesn’d always do the best job so looking up above you can see the exact timing of each note. Note . . You do NOT have to know how to read standard treble clef notation to play ukulele solo instruemental pieces. Often having the tablature in front of you and listening to the You Tube or VIMEO recordings of the piece, one can effectively learn the pieces. A good portion of my solo ukulele pieces are done as Chord/Melody arrangements. In many cases all you need to do is finger the chord indicated above the line and you have most of your left hand fingers already in place. Where you see a zero, that simply means no finger is place on that string but the string is still played. If there is no number on the string then you don’t play that string. That’s one aspect of instrumental ukulele that can be a bit confusing to people who have been only playing strummed accompaniment for singing, in which case one generally strums all of the strings. I work hard to choose keys that are “friendly” to the ukulele and for most early level players. . . F, G, C Am and Dm are especially great keys to use. As I play through each key I determine which is best in reference to how many chords will need to be barred or high up on the neck. If at all possible I try to keep a good portion of the melody part of the song on the first or second string. After playing through the song many times I begin to determine what rhythmic elements I want to introduce into the piece. I try to eliminate confusing note values if at all possible. As time goes on I will be adding more material and examples to this blog so come back to it on occasion to see what’s new. In lieu of individual private lessons, I am attempting to bring my teaching elements to you in the best ways I know how. If you’ve never attempted ukulele solo playing, I’d highly suggest downloading SMILE by Charlie Chaplin . . It’s found attached as a pdf file in another blog and is free of charge. I like it for beginning players as it is all pretty much in the first 3 frets and simply uses the thumb to stroke all of the chords and individual melody notes. I also have a VIMEO video uploaded that you can watch and hear for this song.